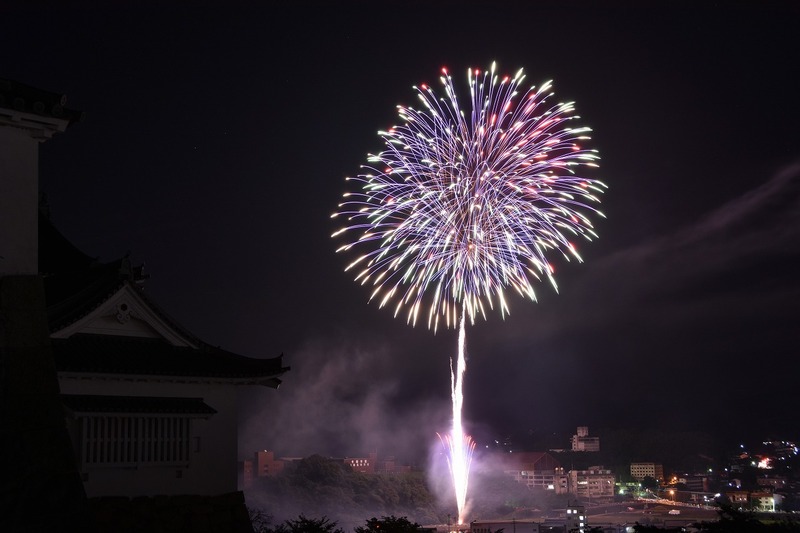 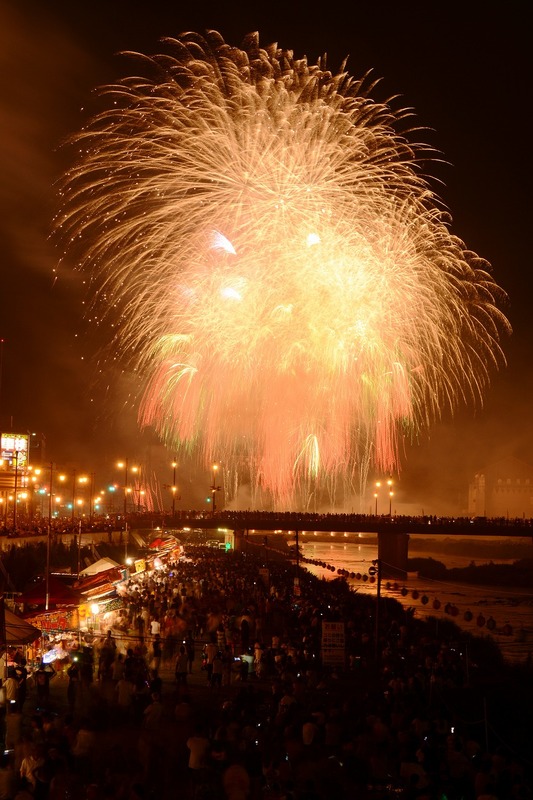 This fireworks show is one of the largest in the prefecture, and it serves as the finale to the Gongo Matsuri held in Tsuyama City, Okayama Prefecture. 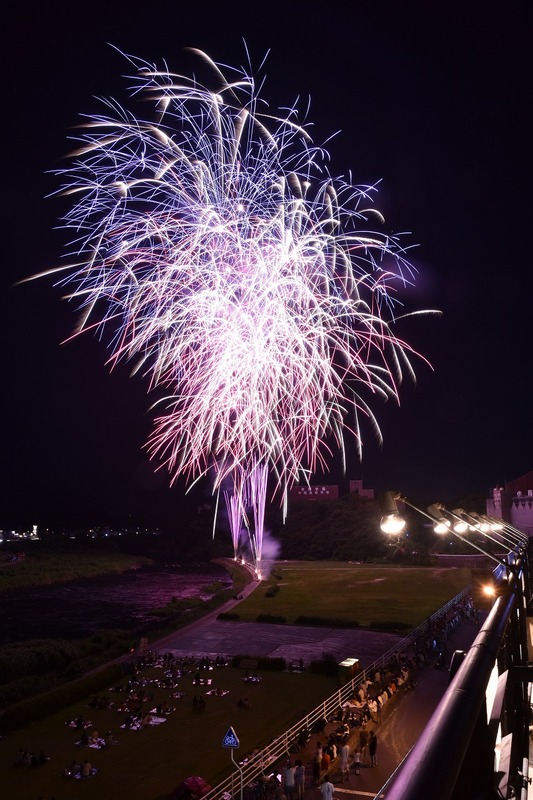 With the Tsuyama evening as a backdrop, roughly 6,000 rounds of fireworks-from starmines to set fireworks, and even musical fireworks-create a magical view. 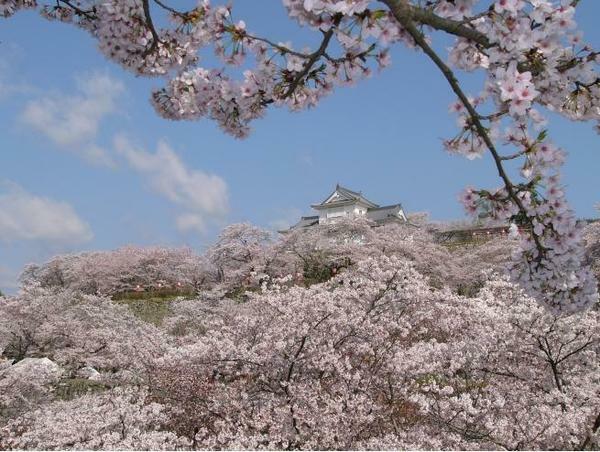 The engaging Tsuyama Noryo Gongo Matsuri takes place over two days packed with Gongo dances, night stalls, and staged events for you to enjoy.